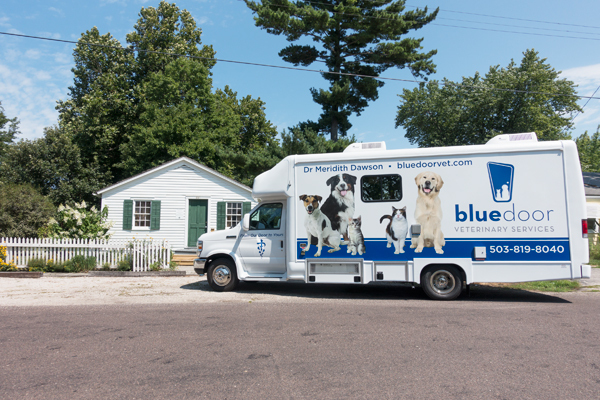 Blue Door Veterinary Services is proud to offer transport services for our clients’ pets to referral hospitals and ER/ICU facilities, if necessary for their continued treatment. If your pet’s condition is beyond the scope of our care, we will stabilize your pet and provide safe transport to a location where they can get the specialty care they need. Unfortunately, we are unable to perform ambulance services for pets that are not our current clients. We hope to be able to offer this service in the future.